← Shiva Temples in Telugu States. 1906 was the year, the All India Muslim League would be founded in Dacca. The roots though were laid by Sir Syed Ahmed Khan in 1886, through the All Indian Muhammadan Educational Conference. It was ostensibly to promote a modern, liberal education for the Muslim community in India, and it drove what was called the Aligarh Movement. The movement was so called after the Mohammedan Anglo Oriental College in Aligarh, founded in 1875, which in future would become the Aligarh Muslim University. More pro-British in nature, the Aligarh movement, aimed to provide a modern, British style education to Muslims, as opposed to the more orthodox Deoband School. It also simplified the traditional writing style of Urdu, and made it to a more simple style, for the masses to understand. It was at the 1906 session of the All Indian Muhammadan Educational Conference, at Dacca, where the Muslim League would take root. It was also a response to the Congress protest against the partition of Bengal by Lord Curzon in 1905. Amidst the backdrop of such a societal churning, and increasing polarization between Hindus and Muslims, Savarkar left for London in the same year. London, one of the world’s greatest cities, the den of the British lion, the very hub of the empire that controlled close to 2/3rd of the world. It was also a refuge for revolutionaries across the world, the Irish, the Russians, the Anarchists and now the Indian rebels. Savarkar ostensibly went to London for studying law, however his main aim was to organize the revolution, and carry on the freedom struggle from abroad. And for which he needed a meeting spot, a mentor, and financial support. All of which was provided by a genial, bearded, soft spoken gentleman with a warm smile, Pandit Shyamji Krishna Varma. The soft spoken gentleman, a Sanskrit scholar heavily influenced by Swami Dayananda Saraswati, had a flourishing legal practice in India. 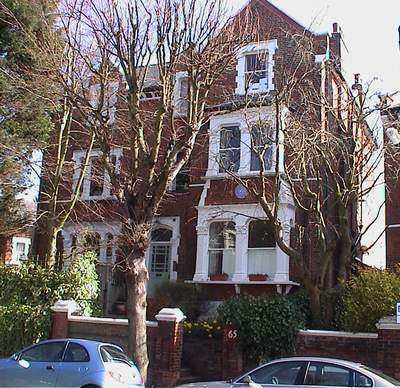 A close associate of Bal Gangadhar Tilak, he moved to England, where he would set up the India House in 1900. He used his money to fund scholarships for students arriving in London, named after two of his greatest influences, Swami Dayananda and Herbert Spencer. Through the Indian Sociologist a magazine started by him, he began to spread the ideas of nationalism among Indian students in London. 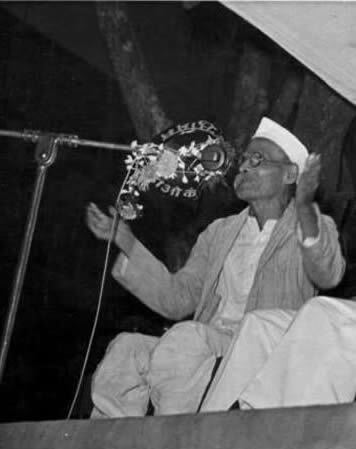 True to his name, Shyamji was the Krishna to Savarkar’s Arjun, guiding him in the battlefield. The Kurukshetra here was London itself, the den of the British lion, where Savarkar began his battle. Continuing from where he had left off in India, Savarkar established the Free India Society in 1906 in London. It was not an easy task, he had to deal with an entire generation of Indian students, who were more English than the British themselves. Decades of colonial education, had brainwashed the average Indian into believing that British rule was a blessing, and that they indeed bought civilization to a backward nation. Savarkar began to change that, holding weekly meetings explaining the ill effects of British rule. He also organized the anniversaries of great heroes like Shivaji, Guru Gobind Singh, and grand celebrations of Dussehra, Dipavali. And so did Asaf Zaki who wrote to Pandit Shaymji that he did not want to antagonize his Muslim friends unnecessarily, by associating with the nationalist. The fact is Sir Syed Ahmed Khan and later the Muslim League had successfully brainwashed Muslims into believing, that freedom would mean a Hindu dominated India, where they would have no space. Barring a few like Ashfaqullah, most Muslims deliberately kept aloof from the freedom movement, and tacitly supported the British too. On the other hand, Savarkar was going full steam ahead through his pamphlets and books. Being an admirer of the Italian nationalist leader Mazinni, Savarkar translated his autobiography into Marathi. And he got this published by his brother Babarao Savarkar at Nasik, in 1907, and through the book, he began to spread the message of revolutionary struggle for freedom. An admirer of Sikhism, he learnt Gurumukhi, read the Adi Granth and Pantha-Surya Prakash. Though pamphlets which he called Khalsa, Savarkar exhorted the Sikh soldiers to fight for independence against their British masters. The British used to celebrate May Day in commemoration of their victory over the Indian revolutionaries during the 1857 Sepoy Mutiny. 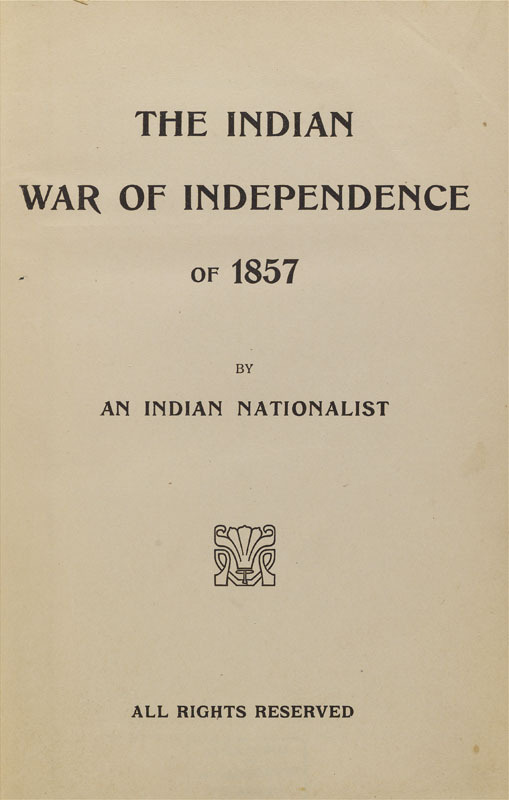 Savarkar countered this propaganda, by calling 1857 as the First War of Indian Independence and decided to celebrate it all over London. Badges were worn, homage paid to the heroes of the 1857 Revolt and soon a wave of patriotism swept over the Indians living in United Kingdom. The British media bitterly attacked Pandit Shyamji Varma, and he had to leave for Paris, leaving India House in the care of Savarkar. The Free India Society in the meantime, reverberated with highly intellectual discussions on political philosophy, that provided an inspiration to the revolutionaries. The discussions were read out in India, via letters that Savarkar sent from London, and soon they began to ignite the feelings of nationalism. With his oratory, intelligence, Savarkar had the India House under his control firmly. Even those who disagreed with his political views, could never find fault with his sincerity and integrity. Savarkar also had the vision to realize the importance of international engagement. He got his pamphlets, letters translated into French, English, German, Russian to spread his thoughts wider. He wanted his message to reach out to a global audience, and get their support for India’s freedom struggle. He took the cause of Indian freedom on to the world stage with his speeches and letters. He was the one who deputed Madame Bhikaji Cama to the International Socialists Congress at Stuttgart, Germany in 1907, and ensured they moved a resolution on India’s independence. It was at this conference that Madame Cama, unfurled the flag of an independent India, which was designed by Savarkar himself. He also ensured that Indian revolutionaries of Abhinav Bharat were in close contact with those from Russia, Ireland, Egypt and China, all of whom were fighting in their own way against oppression. Savarkar’s main aim was to forge an anti-British front on global level, against their empire, at a global level. He had a four point plan to achieve liberation of India, through teaching of Swadeshi, Boycott of foreign goods, imparting a nationalist education, and using armed revolution. He helped in setting up small bomb factories, purchasing arms, adopting guerilla tactics where needed and also spreading the message in the armed forces. Abhinava Bharat in the meantime, was publishing material desired to ignite the nationalist consciousness. Senapati Bapat was sent to India to learn about bomb making, while pistols were smuggled into India through Mirza Abbas and Sikander Khan, which then made their way into the hands of revolutionary groups. On the eve of the 1857 Anniversary, Savarkar wrote a poem O Martyrs commemorating the heroes. This pamphlet distributed in Europe and India, aroused the consciousness against British rule. Senapati Bapat meanwhile began to circulate the bomb making manual among important revolutionary hubs in Maharashtra, Punjab, Bengal, the North. One of those so inspired was Khudiram Bose, who threw a bomb at Muzaffarpur on April 30, 1908 at the carriage of a British official, killing it’s occupants. This singular act shook the whole of India. With a rising nationalist feeling, the British struck back with more repression. Khudiram Bose was hanged, Aurobindo, Senapati Bapat had to go into exile. Some more were sentenced to the notorious Cellular Jail in Andamans, that included Savarkar’s brother Babarao. Savarkar was now regarded as one of the most dangerous of the rebels, a close watch was kept on India House by Scotland Yard. Savarkar however managed to win the sympathy and support of the Irish police in Scotland Yard, tactfully. Add to it Abhinav Bharat itself had it’s own agents inside Scotland Yard. And this was what actually made him really dangerous. He was not of the emotional impulsive type, rather he was absolutely cold and calculating. He was the mastermind, the brains behind the scene, that ran the whole operation. Possessed with the power to discriminated logically, and a very balanced mind, mindless rhetoric was not something he believed in. He did not believe in the romantic notion of revolutionary martyrdom. He was more of a realist, who believed in surviving to fight another day. Instead of blind action, for him the timing and purpose was far more important. When Senapati Bapat wanted to bomb the House of Commons, Savarkar dissuaded him, as he did not want the British to know that Indians had mastered the art of bomb making. For him revolution without purpose, had no meaning, he believed in planning and results. This entry was posted in Indian Freedom Struggle, Maharashtra, Revolutionary Movements, Veer Savarkar and tagged India House, Lala Hardayal, Madame Bhikaji Cama, Shyamji Krishna Verma, Veer Savarkar. Bookmark the permalink. The great service you are doing through your blogs is really admirable. Younger generations at least would know that there more in life then internet and pizza. Would like to talk about your blog in my blog. Kindly confirm I can do that. Hi thx a lot, your welcome to do that.